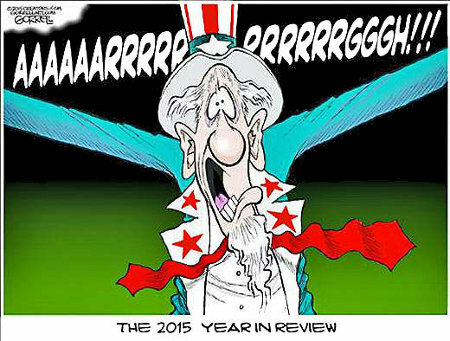 On this, the last day of 2015 to look back on this year is not pleasant but it is easy to sum up – “Aaaaaargh!” sums up 2015 quite aptly. What, however, is much worse is the fact that 2016 doesn’t look like it will be any better. Indeed, if things continue along the fatal sequence of the current entropic curve, it may well be far worse. 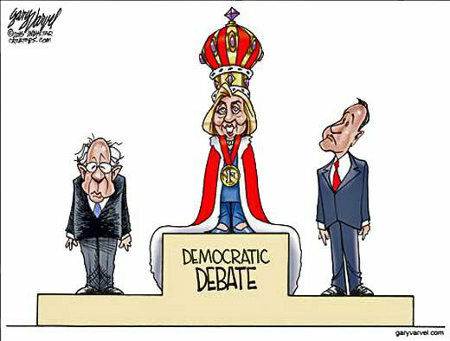 Yes, except in the minds of a few delusional Progressives, it’s undebatable that Hillary Clinton will be the Democrats 2016 Nominee for POTUS. Neither the DNC nor their ever-complicit Lamestream media would have any other way and their not shy about proving this. The Dems have had only two debates compared to the GOP’s five and both of those were seemingly geared towards Hillary and we’re, in general very soft and genial. And yet, these two debates have been the highlight of Hillary’s campaign so far. As for the rest of it, what there has been, her campaign has been studiously ignored by the Lamestream media. This silence is to Clinton’s benefit. It keeps her out of the news and limits the opportunity for people to know about what she’s said that they won’t like. This in turn saves her money because she doesn’t have to pay for damage control. Yep. It’s undebatable that the fix is in and Hillary is the Heir Presumptive for the Democrats. Welcome to the Dark Side, the intersection of anti-White ideology and science fantasy. Yep! 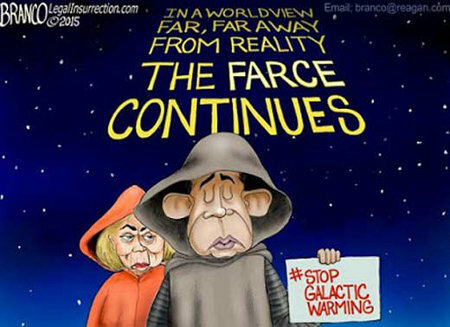 Obama and Clinton, most likely, would be perfectly cast in The Farce Continues. That’s the way Liberals and Progressives, and the Democrat politicians that farm them work. As long as the West, especially America, is too White, they’ll keep pushing their death cult upon us. The thing is that our Dark Side doesn’t just have two Sith, one Master and one apprentice. It’s got a whole corrupt order of them. 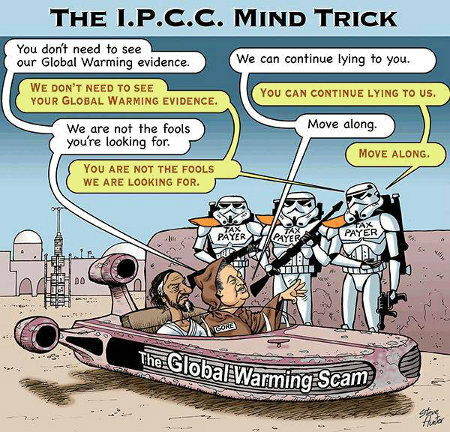 It’s called the UN’s Intergovernmental Panel on Climate Change (IPCC).